BALTIMORE COUNTY, MD – September 12, 2014 – The Baltimore Symphonic Band (BSB), a 50 piece musical ensemble based at CCBC Essex, today announced that it will accompany an original patriotic musical pageant, O’er the Ramparts in the John E. Ravekes Theatre at CCBC Dundalk Sep. 12 – 14, 2014. As Baltimore celebrates the bicentennial of the War of 1812 with its Inner Harbor Sailabration and Baltimore County hosts Star Spangled 200, the Community College of Baltimore County is focusing its commemoration of this historic event on a musical drama based on the “Battle of North Point.” O’er the Ramparts will premiere at 7:30 p.m. on Friday, September 12 and there will be two additional performances, on Saturday, September 13 at 7:30 p.m. and Sunday, September 14 at 2 p.m., in the John E. Ravekes Theatre at CCBC Dundalk, 7200 Sollers Point Road. 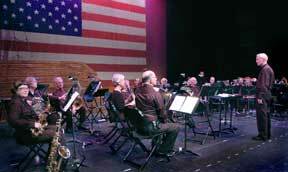 The band also accompanied performances for local schools at 10:00 a.m. on Tuesday, September 9 and Thursday, September 11.
with music and lyrics by William Watson, professor of Music and dean of the School of Liberal Arts. 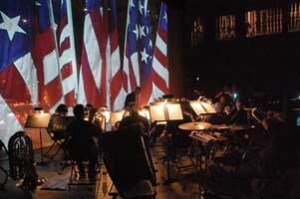 Musical direction is by Monica Otal, professor of Music, accompanied by live on-stage music by the Baltimore Symphonic Band, under the direction of Christopher Wolfe, professor of Music at CCBC. Marc Smith is in charge of technical direction and design, James Fasching is the costumer, Lisa Boeren is the stage manager and Terry Edwards is handling sound. 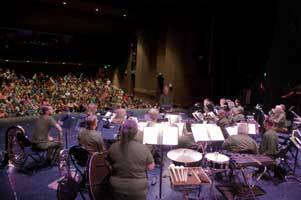 The Baltimore Symphonic Band is a 50 piece community concert band based at CCBC Essex. Unlike other community bands, the BSB is fully integrated with the Performing Arts instruction at CCBC and affords members the opportunity to receive college credit for their participation. 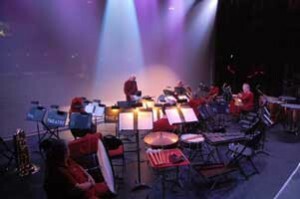 For additional information on the Baltimore Symphonic Band, visit their Web site at www.BaltimoreSymphonicBand.org.